If you are on this page and this is the first time you are getting an asthma attack and are looking for an asthma attack treatment on the Internet, the basic initial thing that you need to do is calm down and call a medical professional. To be sure that you are prepared even before an attack takes place, here are some asthma symptoms prior to an asthma attack. Knowing the symptoms, are essential to be sure that the situation that is taking place requires the administration of asthma attack treatment. Regular symptoms of ordinary colds such as runny nose, congestion and short breath. There are various stages in approaching an asthma attack. Pre-attack preparations such as medical consultation and diagnosis is one of the most vital ones. A medical professional would be able to determine exactly what kind of pulmonary condition is being addressed. Once the appropriate diagnosis is made, the medical professional would indicate the correct asthma treatment and medication for the situation. Dealing with a severe attack can be a very frightening experience. Again, calling emergency medical services is still the best way to go. If you are waiting for them to arrive and are in need of further instructions here are a few things which you should consider as a guide. Note this is only a guide and this should not be treated as actual medical advice. 1. Quickly ascertain whether the victim has reliever medication with her. If he/she is still conscious, find the reliever and then if possible have the patient administer it herself so she would know how much puffs to take in. 2. Ensure that the victim sits down in a position that would not aggravate breathing. It’s very essential to make sure that the victim should not lie down. 3. Make sure that the victim’s clothing is loosened. Post-attack generally involves more diagnosis and observation of the effectiveness of the medication and treatment prescribed. Adjustments would then be made to better any deficiencies. Asthma diagnosis requires stringent observation since different patients may show different symptoms. An asthma attack could well be within the tolerable range and at some stages to the fatal. 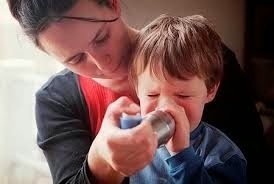 Precise diagnosis and reports of symptoms would further lead to better prescription of asthma attack treatment.